Pro Sitemaker is located in Denver, Colorado. We began in 2001, and have been going strong for over 10 years now. We have clients from all over the globe. 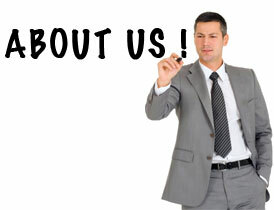 We are small enough to give you the personal attention you deserve, and experienced enough to handle any size business. Get a free quote now! • We Listen - We examine your business, your visions and your goals. • We Transform - We convert your ideas into deliberate function. • We Achieve - We create web solutions that are unique as your company. Our web design team features highly experienced webmasters, programmers, marketers and web consultants with whom you'll have close contact with during the length of your project. You can be sure you're working with someone who cares about your website as much as you do. • If you would like to contact us, please fill out the form below. Or if you're ready for a website quote today, please click here. and is never shared with any outside parties.